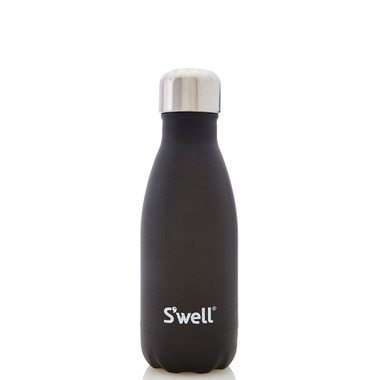 S'well Stone Collection Stainless Steel Water Bottle is coated twice with a grip, durable stone-like texture, making this water bottle great for keeping hydrated and stylish! Love this water bottle! My 2nd grader loves icy cold drinks and this bottle keeps his drinks frosty all day long. The cap is easy to open and drink from and the bottle is completely spill proof. As an added bonus, I write him a note every day with the chalk pen. Its the perfect size for a lunch box. I use the 750ml bottle for myself and love it.